Enjoying the adventures of this life! 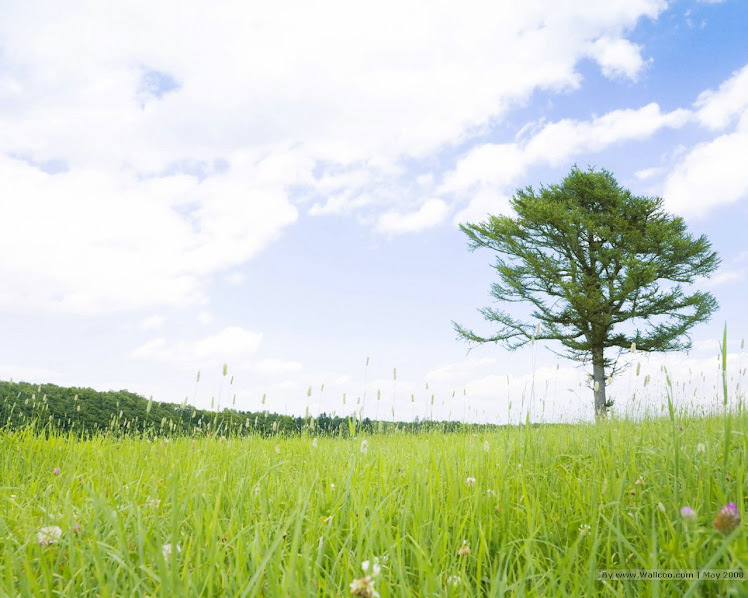 The Sun Shines Dailey: Day trip to Black Mountain! I’m Still Alive…and Making Crackers! Yes, the last time I wrote was in January! School really did take over my free time and I had to submit myself to the books. I have become quite a little nerd, as my husband now lovingly refers to me. I am proud to announce that I have a 90.25 average in Anatomy/Physiology right now and have high hopes to bring that above a 93 before the class ends so that it can be an A (7 point scale). At work, I have also been incredibly busy helping our teams to respond to the crises in Tunisia/Egypt in response to the unrest in Libya, and then the earthquake and tsunami in Japan. Needless to say, my free time for blogging has been almost non-existent. With my husband traveling most of this month, I spent a lot of time existing in survivor mode. A few times, the dishes remained in the sink for up to a week! At times, my clean clothes would remain in baskets unfolded or put away for over a week. I found myself in urgent care 2 weeks ago, after I experienced chest pains for a second time in 1 week. Thankfully, the EKG was normal and stress was the obvious issue…but I didn’t feel there was a quick fix knowing nothing was going to change. However, last weekend, my friend Jessica treated me to an hour-long massage and then I enjoyed pedicures with my good college buddies while down in Charlotte for Lizzy’s bridal shower. Three girls from my Bible study took me out for lunch today to one of my favorite brunch spots, Melanie’s. They pampered me with all kinds of goodies, including lotions, bath soaks, coffee, granola and candles! So sweet!! Speaking of the shower for Lizzy last weekend, I volunteered to bring the cheese/cracker tray. I decided it would be fun to attempt making homemade crackers. I googled ‘rosemary olive oil crackers’ since that’s one of my all time favorite flavors. This is the recipe that I ended up using. Here are some photos from my first homemade cracker journey, which was way simpler than I had anticipated! I definitely plan to make more soon! I also made sesame spelt crackers using this recipe/video. I loved watching this video as a tutorial. They weren’t as good, but were the healthier option. Smitten Kitchen is one of the most amazing blogs out there for food. She’s a genius! Ouila! Delicious crackers, which according to some of my sweet yet honest friends, were the hit of the party! I was very proud. I paired them with some cheese (herbed goat, white Dubliner’s and medium cheddar cheese) that I unfortunately, can’t really indulge in. I encourage you to try this one! So easy and addicting! Blogger has finally become a little more user-friendly!...or maybe I've just become a little smarter now that I'm back in school?! I spent the past hour choosing a new template and creating it to fit my style! I hope you enjoy it. I stayed home sick today because of a sore throat/cough, and I feel so well-rested. The snow has been falling the past few days, which resulted in two days of canceled classes! Woohoo! Over the past few days, we've received about 10+ inches of snow! I'm about to get started on a new knitting project. My friend, Ashley, re-taught me to knit a few months ago and we've begun a small ladies knitting group! It's been so fun and I actually finally completed a pair of fingerless mittens. Picture to follow. My next project will be a head wrap! Looking forward to it! Oh, and I must mention that we didn't get home last night until 12:30 due to the National Championship being on TV. I married into an Auburn family and we won last night!! It was quite an intense game and I'm so glad it's over! I can't believe i've become a football fan. It just happened to be the right year for Auburn, but everyone keeps saying it won't happen again. 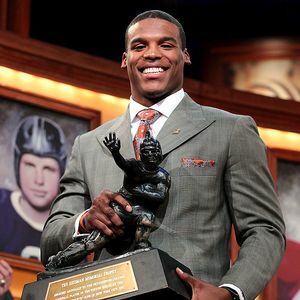 Thanks, Cam Newton, for providing us with such a fun football season! Yep...after much thought and prayer, I made the big decision last fall that I would begin my journey to become a nurse this year! Becoming a nurse opens so many opportunities! It will be a much more family-friendly career, I could do it literally anywhere in the world, I could choose from tons of different specialty areas, I will get to work directly with people by helping them, it can be very fast-paced, nurses will be in demand for years to come...and I can become one within the next few years. I am attending the community college in my town part-time while continuing to work full time at Samaritan's Purse, where I've been on and off since 2004. I have a lot on my plate this year but I'm looking forward to the challenge! My little niece, Eden, has had RSV for the past 2 weeks, but I received an email from my sister yesterday that she is finally feeling better! Look how much she's grown! 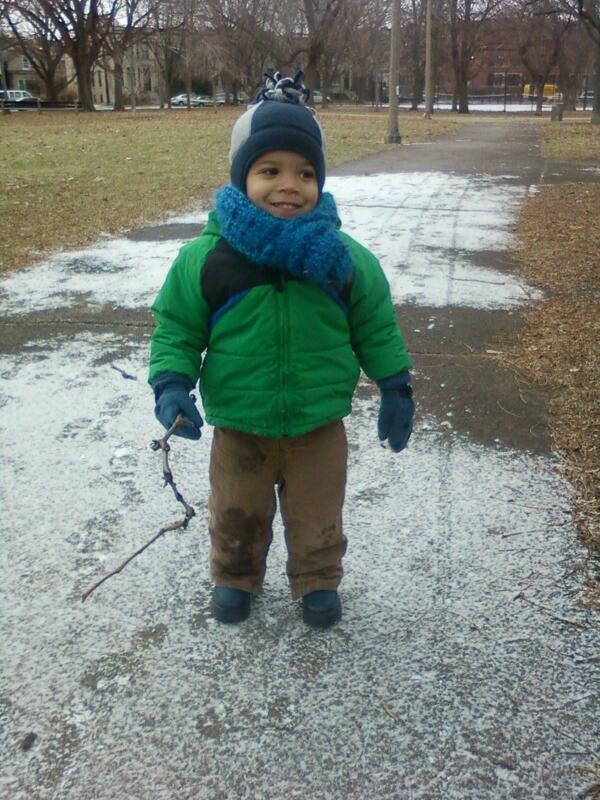 My nephew, Eliot, has been learning how much he loves the snow in his hometown of Chicago! We had a fantastic Christmas! John and I journeyed to West Tennessee to enjoy time with my family. It was lots of fun watching the little ones open their gifts! We ate lots of food, played lots of games, and relaxed! For my local friends, I made peppermint bark for the first time! It was a so easy and so tasty! i bought 72% dark chocolate from Trader Joe's called Pound Plus, a huge bar for like $3.50. When i ran out of that, i also use semi sweet chips or whatever. melt in a double boiler or i put it in a small pot inside a big pot of water filled just to the bottom of the small pot. Speaking of gluten-free, I recently took some tests which determined foods that I was allergic to. The obvious one was milk, which I've pretty much been aware of for years, but I wasn't sure if it was a lactose intolerance or a milk allergy - 2 very different things. I also discovered that I had an allergy to soy. Very surprised by this one, since I've enjoyed tofu, tempeh, soymilk and veggie burgers over the years. Soy is actually in quite a few foods, since it's inexpensive and easy to grow and the US government subsidizes industrialized farms with seeds. It's practically in anything that "needs bulking up", in the form of soy lecithin. To my surprise, a gluten sensitivity didn't show up on any of the tests! I was thrilled! Still working on the digestive issues as we speak, but each day I'm more and more hopeful to get the source of my stomach problems. For Christmas, John got me a yogurt maker and an ice cream maker! I came home from class one night to find that he had made me some cherry, almond, coconut ice cream! So delicious! Lucky for me, John loves to experiment, so he enjoys trying the odd foods that I get to eat. I have now just completed my second batch of coconut yogurt, using this recipe. For the first batch, I used part coconut milk from a can and part from a carton, and attempting to use gelatin as a thickener. It didn't work!! The milk had completely separated and coagulated. Not good. I tried round two on Sunday and it turned out better, although I didn't use a thickener, so it's just cultured coconut milk. Still tasty! This is the result I'm going for! Except I don't want to pay $1.99 to 2.40 per container! Just an update from yesterday's post. The forecast for today ended up being SNOW HARD ALL DAY LONG, instead of "occasional snow showers at times". We definitely enjoyed getting that 3:42pm work email reading, "Everyone will be dismissed at 3:45pm today due to treacherous road conditions." All of the sudden I feel like I'm in 6th grade again! Snow days are waaaay up there on my charts...i mean, almost like mini-Christmases. Going to work on snow days feels sinful. So...back to my autumn memories. We had a fun backyard bonfire party with friends where we drank homemade cider and carved pumpkins! ...and we saved the pumpkin seeds to roast! My valley-dwelling friends and I celebrated the coming baby boy of our friends Heather and John Mark. A festive co-ed party! We had the best time throughout the whole road trip! We're already looking forward to our next adventures somewhere next year! I am a 32 year old mountain girl who has a passion for creativity, gardening, cooking, friends, good health and the great outdoors. My husband and I live in a little nook of paradise in Blowing Rock, North Carolina. We feel 100% blessed with the life that God has given us. I wake up each morning and look forward to our next adventure. Reminds me of the verse in Matthew 6:11 where Jesus prayed, "Give us this day our daily (dailey) bread." We are always seeking to be present in the moments that each day gives us. Day trip to Black Mountain!